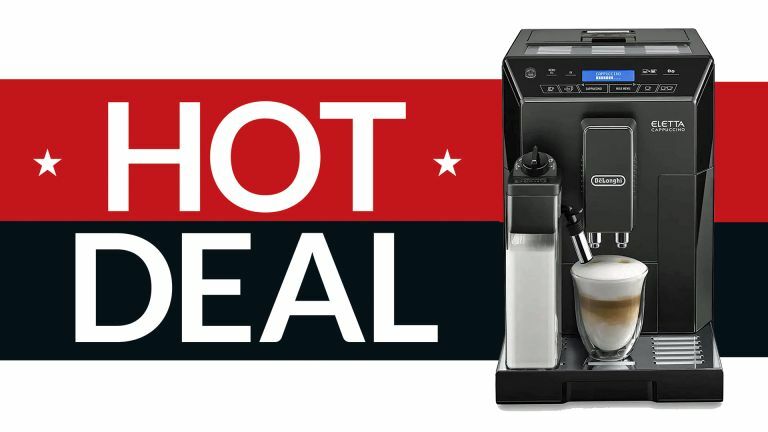 The 2019 Amazon Spring Sale is drawing to a close and going out as it came in – with a load of mattress deals and some cheap coffee machine deals, including this one. The Spring Sale runs until midnight Monday 15 April so peruse this and other deals while you still can! The machine can be used with either coffee beans or ground coffee and applies a café-standard 15 bars of pressure. A memory function lets you store your favourite combinations of milk and coffee, then get the perfect coffee for you every time. Long Coffee/Americano button: an extra brewing cycle gives more intense aroma and flavour. The milk steamer has automatic cappuccino and caffe latte functions, to 'build a creamy milk texture'. It's easy to use, with one-touch selection of cappuccino, caffe latte, latte macchiato, espresso macchiato and flat white coffee. The long-life grinder has 13 adjustable settings to suit your preference: grind finer for a stronger taste. To be perfectly honest, we have never used this particular machine, but De'Longhi coffee makers are generally solid, this has a 4.3-star overall rating on Amazon and it is, above all, £410 off the RRP. Who can resist a caffeinated bargain such as that?